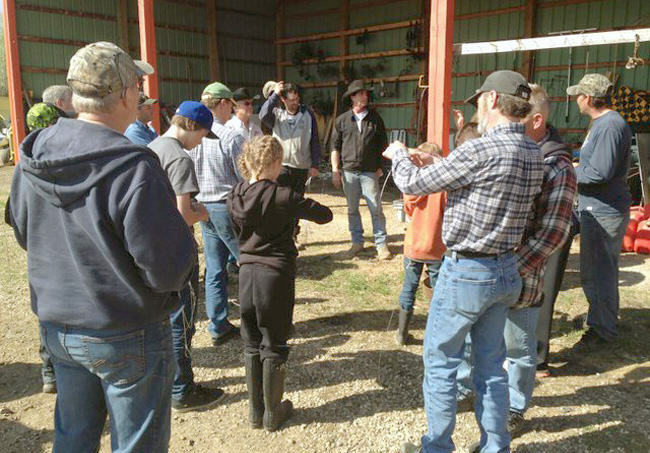 Renowned trapper and wildlife advocate Gordy Klassen (center) runs a range of workshops out of his rural Alberta homestead. As the communications coordinator for the Fur Institute of Canada I sometimes spend more time in the office than I do out on the land with the wonderful people I work for. So when I do get a chance to get out there, I make sure to really appreciate and absorb the experience. Being offered the opportunity to go to the rural Alberta homestead of renowned trapper and wildlife advocate Gordy Klassen is just about as good as it gets. The man they call “Trapper Gord” is well known in our industry. And yet I’d only been lucky enough to meet him face to face once, during the Fur Institute’s 2015 annual meeting in Saskatoon. I came into the fur industry as an outsider, but with an open mind. What I’ve learned is that the industry is driven by incredible people doing incredible work and providing an incredible service to wildlife conservation and sustainable resource use in Canada. The fur industry is essentially why Canada came into being, and remains a critical part of the economic, cultural and environmental tapestry going forward. As I boarded the plane bound for Alberta on March 15, I found I was excited to go to Gordy’s ranch and see more of his and the Fur Institute’s work up close. The visit to Gordy’s was the second half of a weeklong event hosted by the Fur Institute with a Russian delegation of four representing the fur industry and environment sector of the Russian Federation. The Russians made the trip to Canada in order to better understand the Agreement on International Humane Trapping Standards (AIHTS). It seems like the interest to further improve their hunting and trapping standards is a top priority for the Russians and they came to Canada to learn from the leading experts in the field. This week was made possible by the sponsorship of the International Fur Federation. Gordy Klassen’s homestead is in such a rural setting, blink and you could miss it! As I piled into the car bound for Gordy’s and slowly left the urban sprawl of Edmonton behind, the thing that struck me most was the feeling of being in a truly rural setting. 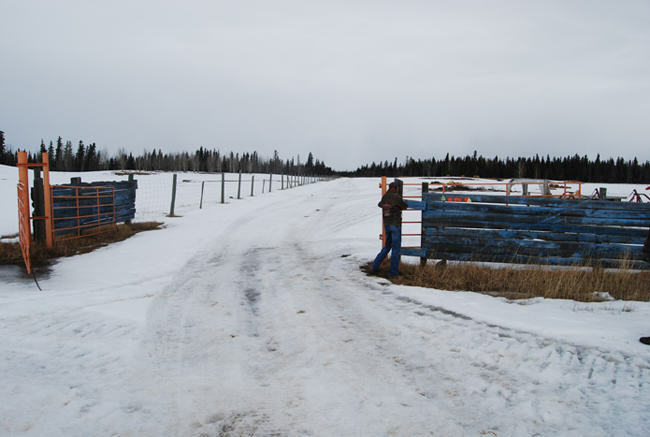 Gordy lives in Debolt, near Grande Prairie. His ranch is just off the highway, shrouded in woods near a place that you could easily miss if you blinked. The natural setting of being in western Canada where everything is bigger rang true. His ranch had many buildings on it and everywhere you looked there was something different to see. This was a large place, for a man with a large personality who has been a lifelong advocate for trappers and the Canadian fur trade. Gordy welcomed us and the Russian delegation and, wasting very little time, we were soon in his legendary workshop discussing issues around trapping and, particularly, wolves. As we got out of the car was the flat land then nothing but trees. It was as if Gordy just built his homestead in the middle of nowhere for the sole purpose of being completely enveloped in nature. It truly felt like we were at the homestead of a trapper. The first thing we did was get welcomed by Gordy, his two young students and his many dogs. The students were like Gordy’s understudies, teenagers who participate in the Trapper Gord Wilderness College, and were completely unafraid of anything. They handled themselves like you’d expect any veteran outdoorsman to carry himself, they knew their stuff, and at times they performed like Gordy’s second set of hands. We were ushered into his converted barn which was where we’d spend most of the next two days. 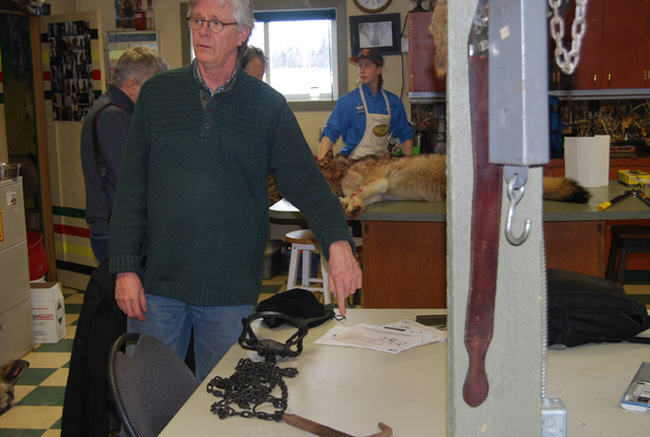 This was Gordy’s chance to do what he does best: discussing trapping and the research done by the Fur Institute. Gordy’s homestead was chosen because he is a lifelong hunter and trapper and has lived it his whole life. He was able to trap and when we got there he had dispatched wolves on hand which he normally traps for clients and sells oftentimes to taxidermists. Gordy’s expertise in trapping and wildlife management made him a great source of information, along with researchers like veterinary pathologist Dr. Rudi Mueller, Pierre Canac-Marquis (a retired Quebec Government wildlife biologist and trapper, as well as coordinator of the Fur Institute’s trap research), and the rest of the Institute’s Trap Research and Development Committee. They began discussing the work they do with the Russian delegation, talking about the various traps, and how best to use them and set them. Pierre Canac-Marquis is a retired Quebec Government wildlife biologist and trapper, as well as coordinator of the Fur Institute of Canada’s trap research. Dr. Mueller allowed everyone access to his vast expertise by way of a necropsy on a wolf. He was demonstrating specifically the workings of the trap on the animal and the cause of death. This process is obviously key in helping better understand the workings of traps and to understand the animal itself; this allows researchers to continuously improve the methods used to humanely trap and hunt these large predators. Coming from somebody who has never really experienced this type of thing before, the opportunity was incredible. The experience was a first of many for me; I experienced some of the key parts of the fur industry. I was able to view the skinning and necropsy work being done on a wolf, showing me that it isn’t as scary as some want you to believe. The process is not bloody and the craftsmanship it takes is incredible. The care and time trappers like Gordy take to do it right is impressive and reaffirms my belief that trappers care for the animal more than anyone. 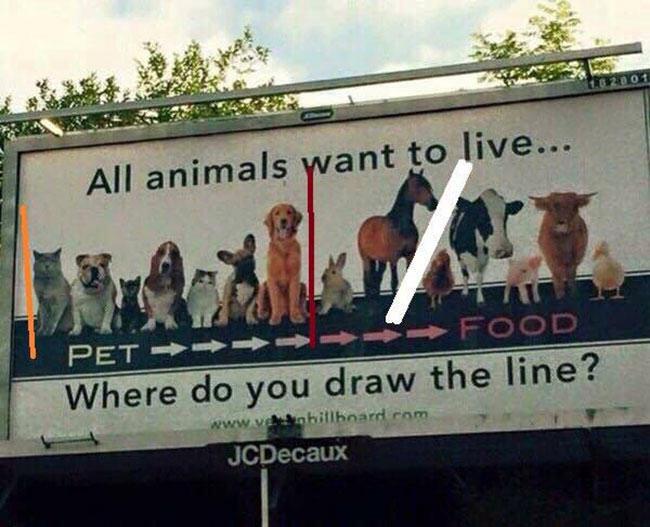 This is a way of life and, for a lot of them, their livelihood, so they have far more at stake than anyone attached to these animals. Among the skills a Gordy Klassen workshop can teach you is working with rawhide. 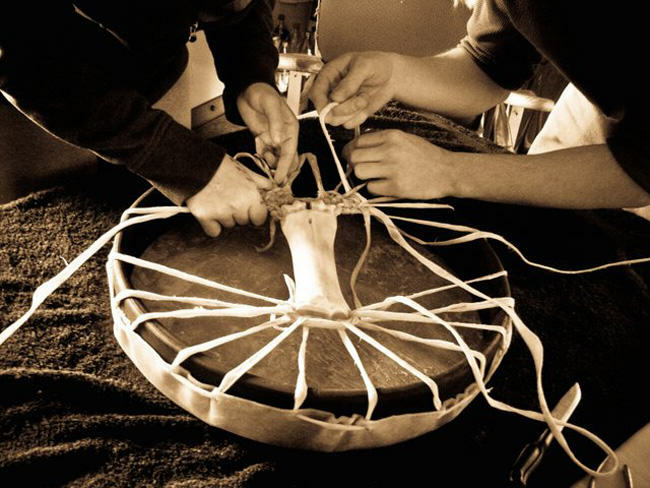 Here elk rawhide is stretched over a cedar ring and laced up tight to make a beautiful hand drum. Understanding what a trapper does, through Gordy’s point of view, was an extremely worthwhile and impactful learning experience. All in all, the trip was an opportunity to personally experience what it is I advocate for on a daily basis here at the Fur Institute. I can honestly say it has further solidified my belief in this industry and makes me want to get these great stories across to more people. The work and care that go into it is impressive and it is clear the people in this industry care far more about the animals than any anti-use group or city dweller. They do it with respect for the environment, the animals and for the rural lifestyle they live. It’s no wonder they are so passionate about it, and based on the few days I spent in Alberta, I can assure you it’s a passion that catches on to those who experience it. RECOMMENDED READ: Trapper Gordy Klassen practises his own “brand of activism” building awareness about Canada’s oldest economic endeavor. By Jodie Sinnema, Edmonton Journal, Dec. 26, 2014. Thank you for sharing. I always crazy to wear fur accessories like real fur hats, real fur scarves, fox fur hats etc. If someone wants to buy then you can order from online store Amifur. Glad you were able to get out there. Hope to get to meet Gordy in person myself one of these days.